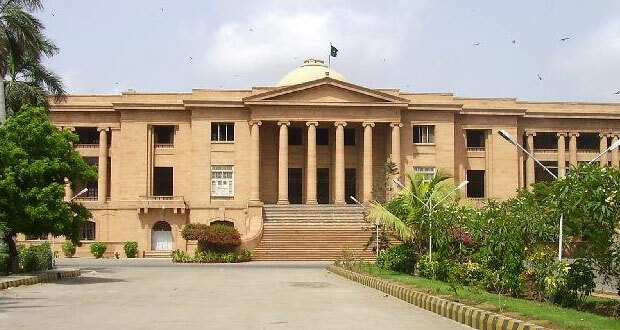 KARACHI: The Sindh High Court (SHC) on Monday refused to revoke the death sentence of five accused in Safoora Goth massacre and said that it will consider the matter after the Supreme Court’s decision is announced. A two-member bench, headed by Justice Aftab Ahmed Gorar and comprising Justice Amjad Ali Sahito, heard the appeals seeking to revoke death sentence awarded to Saad Aziz, Tahir Minhas, Azhar Ishrat, Hafiz Nasir and Asad-u-Rehman by a military court in Safoora bus carnage. As the hearing went underway, the applicants’ counsel, Hashmat Ali Habib, told the court that despite the multiple notices, the respondents did not submit their replies. “Lahore High Court (LHC) and Supreme Court’s verdicts against the sentence awarded by military court are on the record,” he said. The counsel pleaded that the death sentence of the accused be dismissed and an appeal has already been under proceeding in the apex court, to which the bench said that it would consider doing so after the SC’s decision is announced. “Who will be responsible if the accused are executed during that time,” the counsel said, to which the court issued a notice to respondents till March 11. At least 45 people were killed when terrorists targeted a bus carrying 60 members of the Ismaili community on May 12, 2015. The convicts, in their appeals, maintained that the military court had awarded death sentence to the accused on different allegations and the families were not provided with the details of cases. The court was requested to stop the execution of the death penalty and to allow the meeting of the families with the convicts. The Sindh prosecutor general, in his arguments, maintained that the military court had awarded sentence in a serious offence, and appeal against the military court’s decision could be filed only in the Supreme Court.